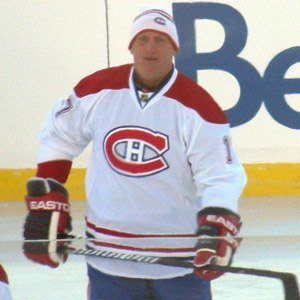 Former NHL defenceman who won Stanley Cups with the Montreal Canadiens and Dallas Stars. He was inducted into the Wisconsin Hockey Hall of Fame in 2002. He won two national championships as a member of the University of North Dakota Fighting Sioux. He is one of the few NHL players to have played more than one thousand games during their career. His son C.J. has played hockey at Northern Michigan University. He played with Dave Tippett at the University of North Dakota.